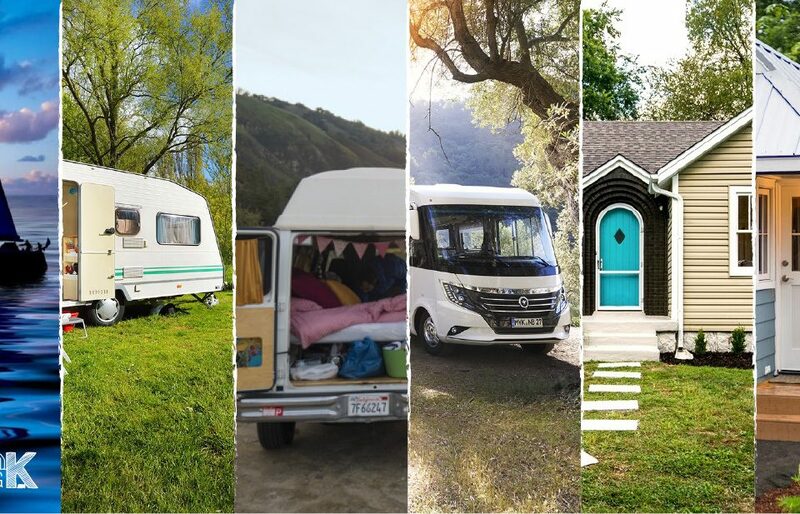 Would you live full-time in a caravan? I’ve come to the conclusion that I want to live full-time in a caravan. Do you agree with my reasons below? Would you take the dive? Q: Why do you want to live in a caravan? I am desperate to live on my own – to have my own space and not cook dinner with 3 other flatmates and all their dirty dishes. I considered renting a flat on my own but feel that paying more than double the rent is a waste of money. I want to have the funds for the odd trip overseas, which wouldn’t be possible if all my money is going towards paying rent for my own place. I original thought about saving to buy a house, but the idea of owing half a million to the bank for a house that is very basic and on the outskirts of the city is discouraging. I like the idea of having a home where I could move locations… a trip away for the weekend with all the comforts of home. The idea of being able to ‘lock and leave’, to dump it at dads (lucky dad) and take a quick trip overseas without paying rent while away. Q: Where would you park it? 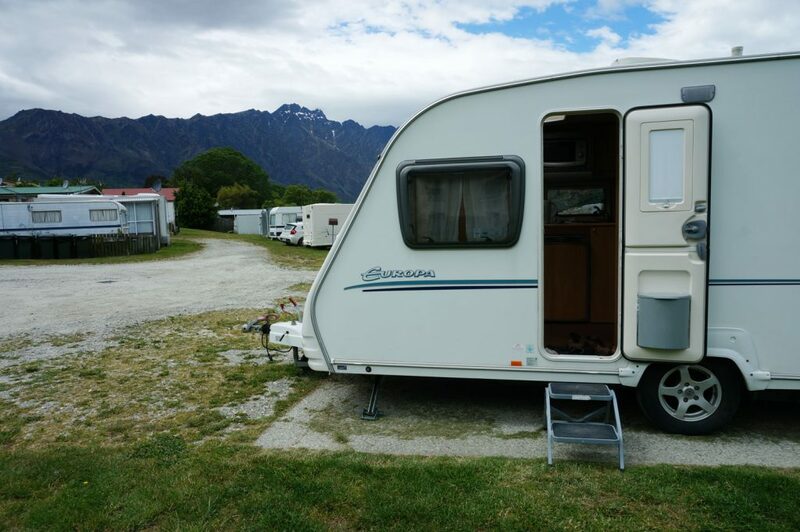 I can free camping for two nights at a time throughout New Zealand – the plus is being surrounded by beautiful scenery and it’s free! At campgrounds which would cost about what I’m paying in rent right now – the plus is the use of their power, bathroom and laundry. If I join NZMCA, I’ve heard there’s a book that tells me where I can stay. I’ll also learn where people let strangers stay on their private land. Something for my to-do list. I’m also wondering if there’s the odd friend out there who wants a bit of extra cash in exchange for their power and bathroom facilities. It would be a hassle driving in and out of the city, but I want to enjoy New Zealand nature more and it will motivate me to get out there on the weekends – to not take the lazy route. And my caravan will end up all over Auckland – sometimes closer, sometimes further out. Q: What about the bathroom? That’s something I want to learn more about. The caravan will have a bathroom and I’ve heard emptying the toilet isn’t as gross as I thought it would be. Then sometimes I’ll have access to bathrooms with real plumbing! I’ll have a very large laundry bag and make use of laundrettes’ and campground facilities when I stay there… and probably make use of my dads washing machine. Q: You want to write about caravans? 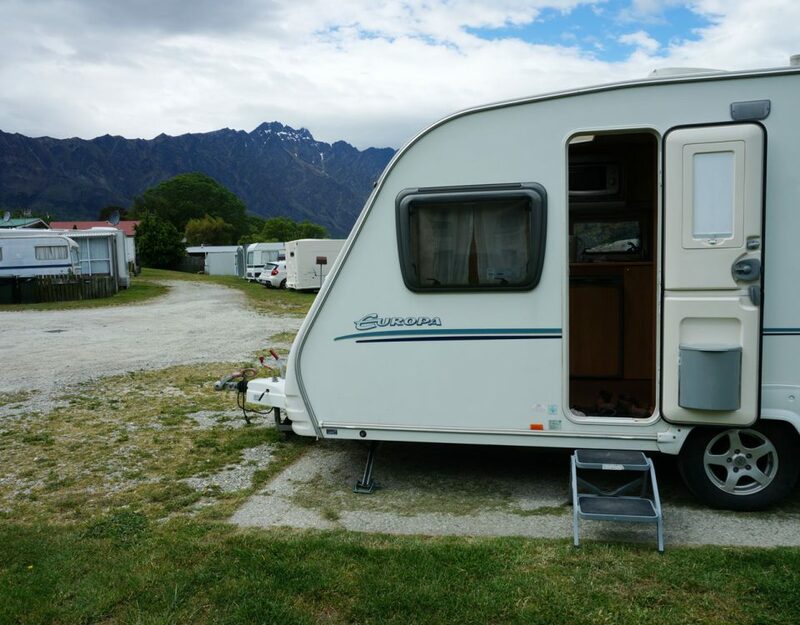 I want to share my experience of learning about caravans and campervans and share my errors for people to avoid in the future… and laugh about. I want to share the beautiful places I find along the way and encourage more people to try it – even for just a weekend. I’m spending this year saving and I’ll be going for a second-hand version – the type with a lot of wooden furniture and horrendous tartan seating fabric! I’ll also have to upgrade my car which is currently a tiny city car and has no tow bar. Q: Why a caravan? Why not a motorhome or van? I like the idea of leaving the caravan to drive a normal car to work. I like the idea that someday I might own a bit of land and have the caravan there. A motorhome is more expensive and I would be concerned about an older engine being in working order. But if you have a different opinion, let me know! I’m aware that motorhomes are more popular. My close friends, after a blank stare, have mainly said ‘that’s so you’! My next step is to actually look inside caravans in my price range. Would you give it a go and try living full-time in a caravan? Has this article made you think, ‘maybe it’s an option‘? Let me know your thoughts in the comments below… and wish me luck. 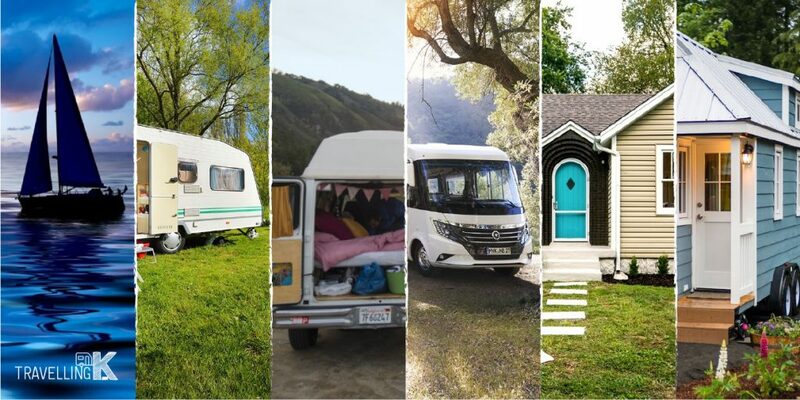 Quiz: Is you dream home a tiny house, boat, caravan, motorhome, van or house?